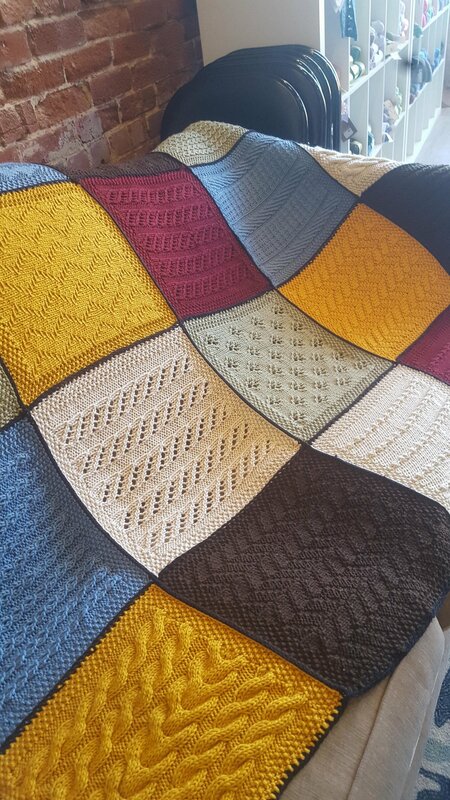 Have you ever seen a blanket made of blocks (either knit or crochet) and thought you'd want to try it? By taking it a step at a time this is a GREAT way to learn new stitches, try new yarns, and to build that statement piece that will keep you and your family cozy for years to come! I'm so excited to do a Block a Month Club again! Sign up for a one time fee of $10 and you will receive a pattern a month for a year and 20% off the yarn you choose to make your blanket. We'll meet every month for questions, pointers, color advice, and for the chance to get to know one another.